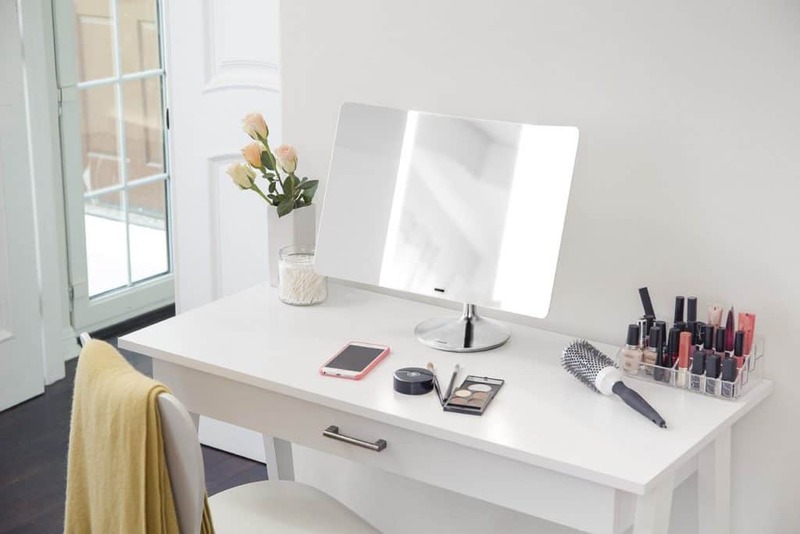 A lighted vanity mirror table is on every pretty much every girl’s wish list for their bedroom or closet. It is usually seen on fashion television shows where a makeup artist works with models in front of mirrors surrounded by light bulbs. It’s easy to see why girls love them so much. It’s the fantasy of every want-to-be starlet or diva (even if only in your imagination): applying luscious make-up, styling voluminous hair, and spritzing with flowery perfume while gazing at yourself in the mirror of a gorgeous, functional, and comfortable dressing table vanity. Such a luxurious piece of furniture brings to mind the glamorous stars of old Hollywood, as you sit coiffing your gorgeous curls, powdering your nose, and channeling your inner Marilyn. Such a wonderful addition to your boudoir, a makeup vanity is both beauty and functionality wrapped up all into one stylish piece. It is so much more meaningful and fulfilling than merely doing your makeup at the humdrum bathroom counter. 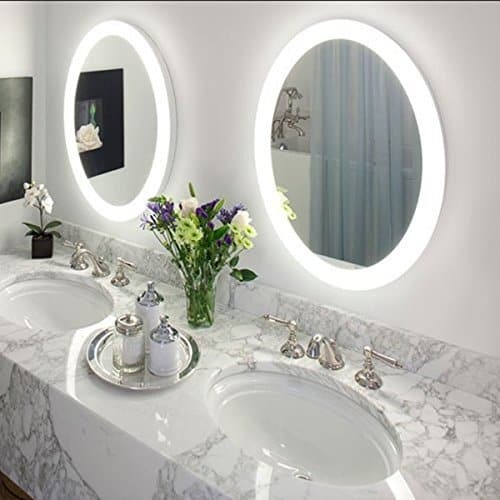 Vanity mirrors add style and glamour to the whole affair. Even if you may never appear on the big screen (or the small screen), you too can have the wonderful experience and the lavish indulgence of having such a place to prepare for your daytime or nighttime activities. You work hard and you play hard. You deserve a luxurious space in which to pamper yourself and make yourself as beautiful on the outside as you are on the inside and to enjoy every moment of it. 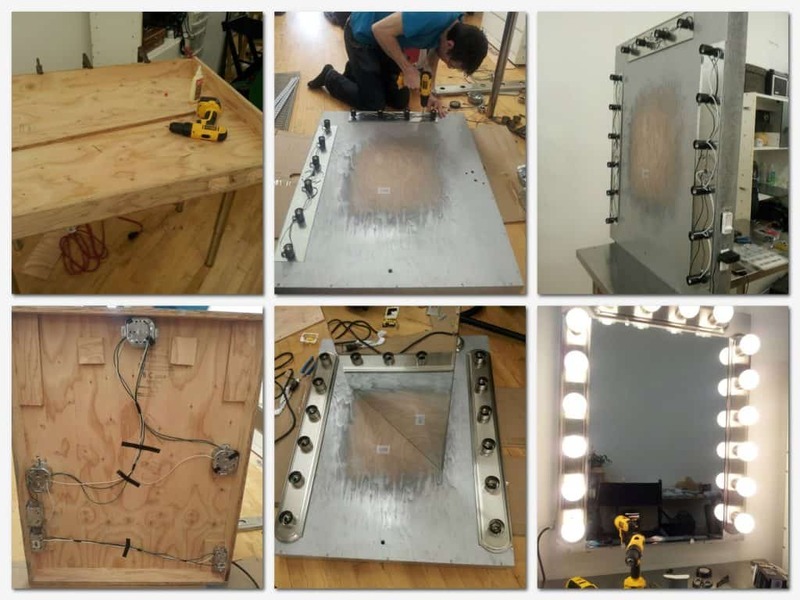 First, we will take a look at building your own vanity mirror with lights from raw materials, then in the next section, we’ll start with an existing piece of furniture. First, you will need to apply two coats of primer to the surface and to the sides of your 28×34 inch plywood sheet, as well as to the 2 pieces 32-inch board. Leave these aside to dry for a full 2 hours to be safe. Next, you can go ahead and apply the colored paint. Make sure that this is done evenly in every area. You can choose any color for your lighted vanity table to make it more your own! Lay the plywood piece on an even surface, such as your floor or a wide table (one you don’t mind roughing up a bit). Make sure that the plywood piece is positioned right in the center. Mark the outline all the way around with a pencil. Set the mirror aside in a safe place before continuing your work, so that it doesn’t get damaged in the process. Position the 6 lamp sockets onto the plywood piece. Place 3 pieces to each side, making sure that the space between them is even. Mark their outline with a pencil. Make a ¼-inch hole on the center of each circle using your drill. Hold the plywood sheet against the spot where you wish to place the vanity mirror. With a pencil, trace each side of the sheet. Insert the cords through the holes then screw the sockets to the plywood sheet. Apply the adhesive to the back of the mirror then press it in place on the plywood. Attach the electrical power strip under the mirror using the mounting screws. Drill three 1/16 holes through each wood board. Screw them to the wall using your 3-inch screws. Make sure the painted parts are facing away from the center. Drill four holes through the wood towards the wall boards. Secure using the 2-inch screws. Connect the six electrical plugs to the power strip. With its switch turned off, connect the strip’s cord into an electrical outlet. Attach the light bulbs into the 6 sockets. 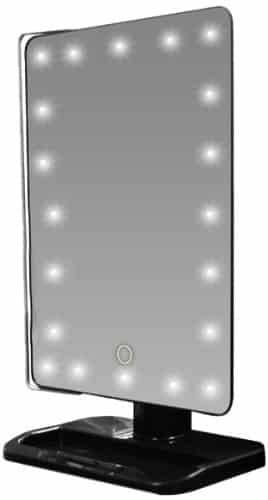 Turn on the power strip switch to light up your vanity mirror. 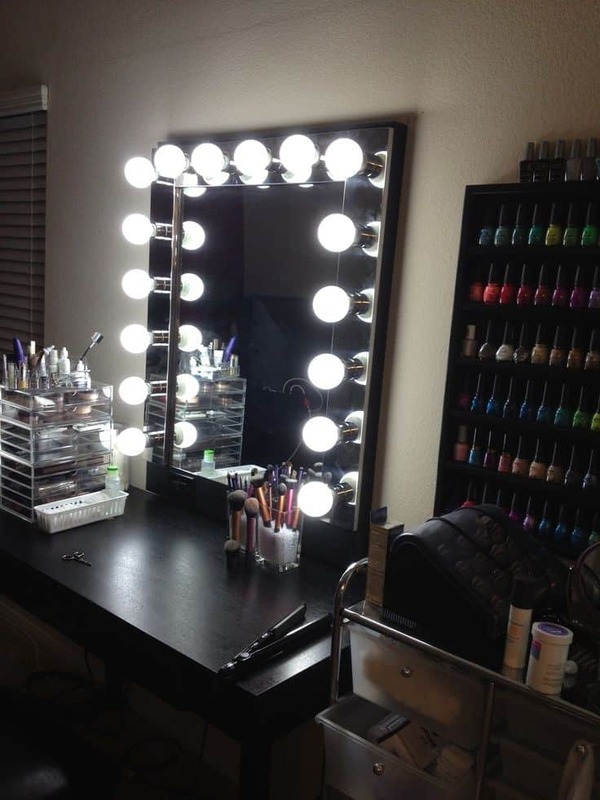 The ample lighting from your lighted vanity table makes the application of makeup easier. This DIY project will not dig a hole in your pocket, unlike designer-made vanity tables. All this being said, you certainly do not have to follow my advice or instructions. There are already a lot of great DIY Makeup Vanity Table tutorials out there. Here is a roundup of the best ones I discovered. Click through each one and find something that works right just for you. If you want to own a vanity table with a lighted mirror but don’t want the hassle of building one yourself, you need to determine your most pressing needs before picking one up from the store or online. Lighted vanity tables with mirrors have many uses. Most women and girls use it when applying makeup every day and, of course, for special occasions. Others need it when doing their morning and evening beauty regimen. 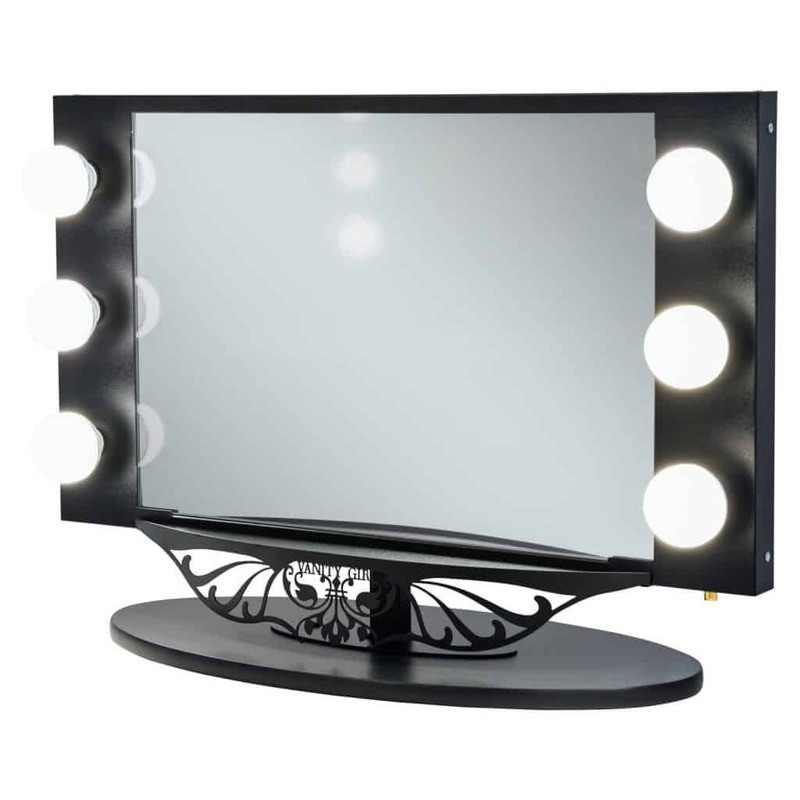 A lighted vanity mirror makes a huge contribution to this aspect of a woman’s appearance, so it is ultimately necessary that you know how to pick the perfect one. There are two types of mirrors used in a vanity table. Single-sided mirrors are just regular mirrors with a mirror on one side and backing on the other. Double-sided mirrors are just what they sound like as well. 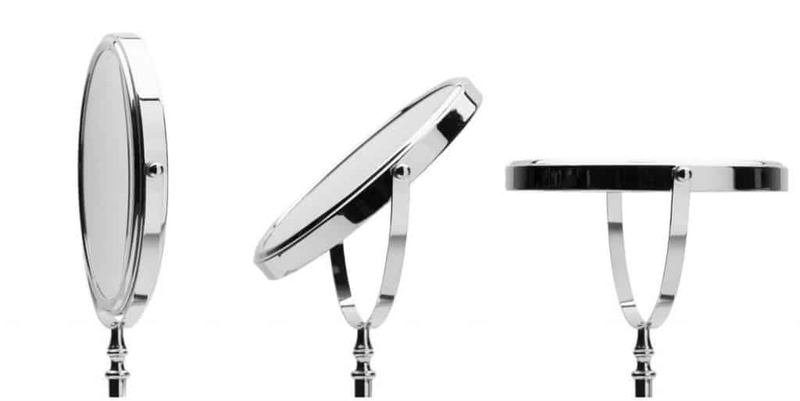 They have two sides: a regular mirror on one side and the special mirror which provides a magnified look on the other side. You just flip it over to use one side or the other, depending on what you need in the moment. 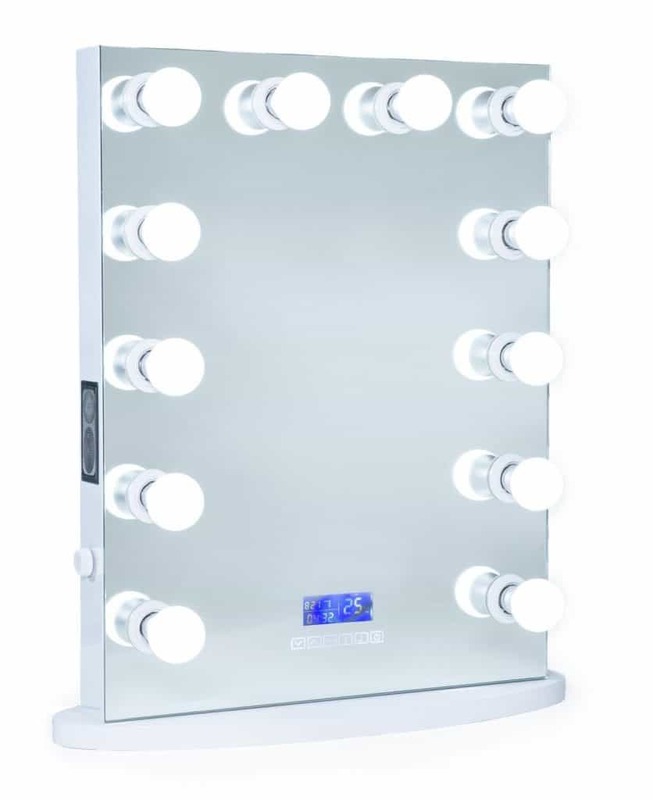 When choosing a double-sided mirror, you need to determine how magnified the special mirror should be to make your beauty routines more comfortable. There is a wide variety of magnifications available on the market today. 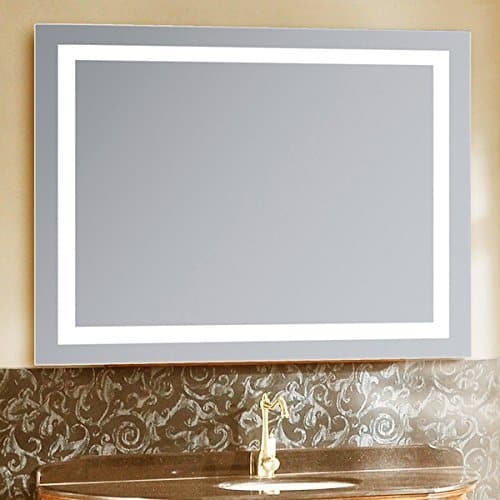 Another desirable feature in a vanity is the mirror’s ability to rotate easily and without too much effort. 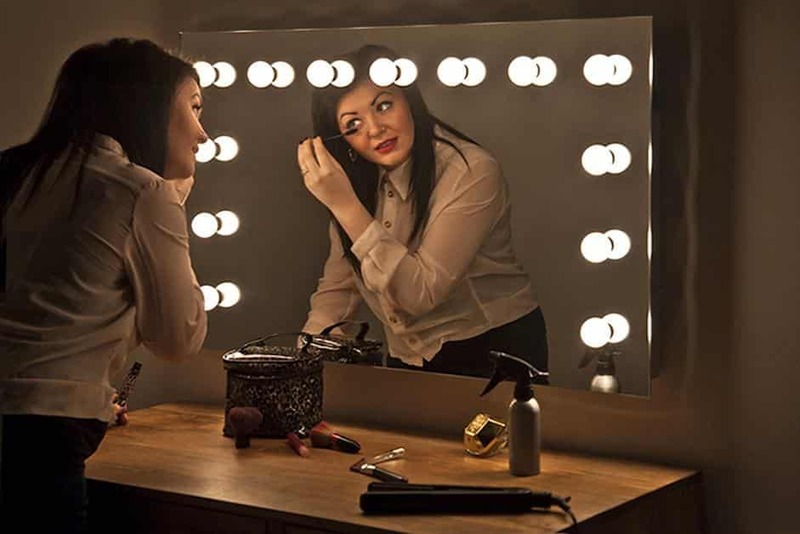 This will help you to get into a comfortable position when you need to check every single part of your face in your vanity mirror while you do your makeup and hair. The size of the mirror can also play a big role in the appeal of a vanity table. You will be more comfortable working on your face in front of a mirror that is big enough for your frame but does not take up too much space in your room. Look at a number of different sizes to find the one that works best for you and for your space. When applying makeup, you need the correct amount of lighting so you don’t end up looking like a joke when you go out. 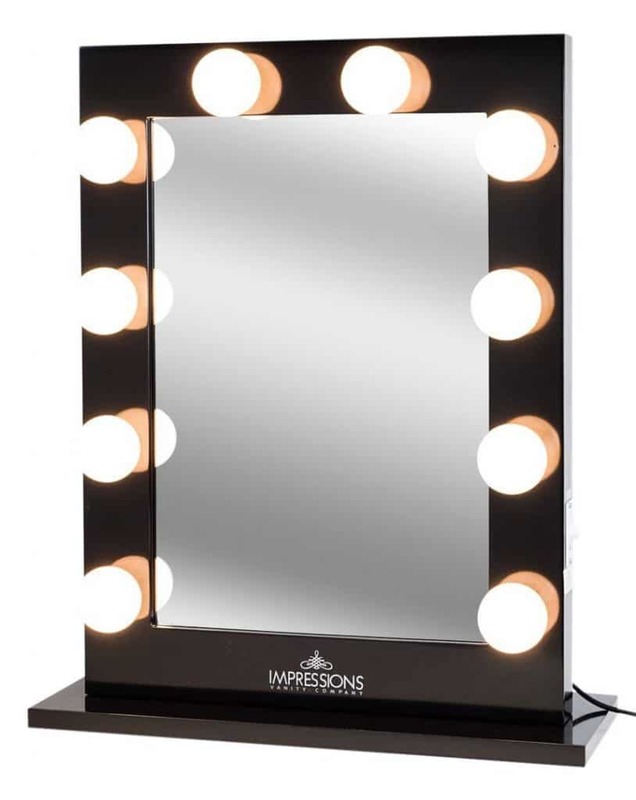 It is best to use a vanity table with a lighted makeup mirror whether you like putting makeup on in your bathroom or your bedroom. 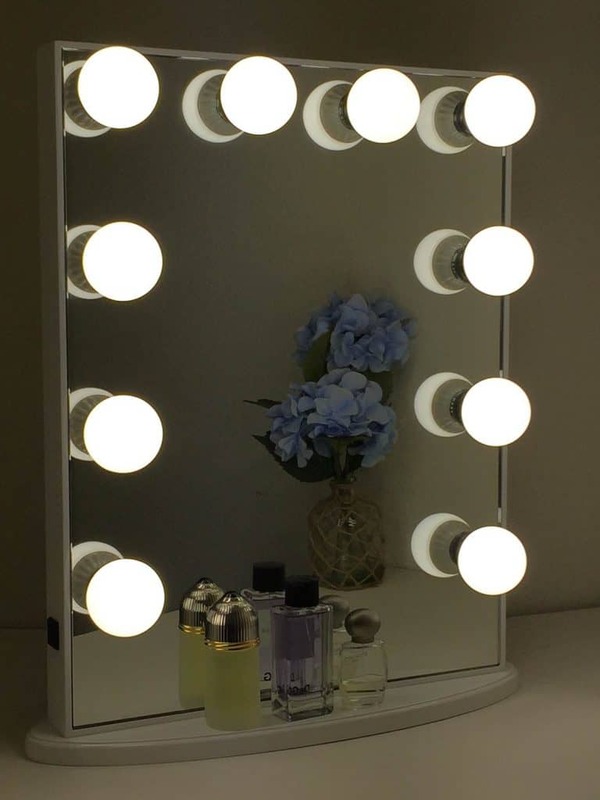 A mirror with lights will help you apply the right amount of makeup in the right areas of your face. You don’t want bulbs that do not illuminate enough. But bulbs that are too bright aren’t very desirable either. Top bright of bulbs will distort the view of your natural look. With that problem in mind, it would be best if you choose a lighting that has a dimming switch. That way you can adjust the light according to your preferences. For instance, you need the bulbs to give off some sort of natural light when you are applying makeup, but you will need it to shine brighter while you are plucking your eyebrows or flossing your teeth. Little girls who love imitating their mom will enjoy having their own vanity table. It is a great place to display their favorite things like hair accessories, jewelry, and other important items. They will have fun prepping up every day in front of a table with a mirror especially if it is beautifully decorated. Vanity tables can be placed in bedrooms or bathrooms to provide beauty and convenience. 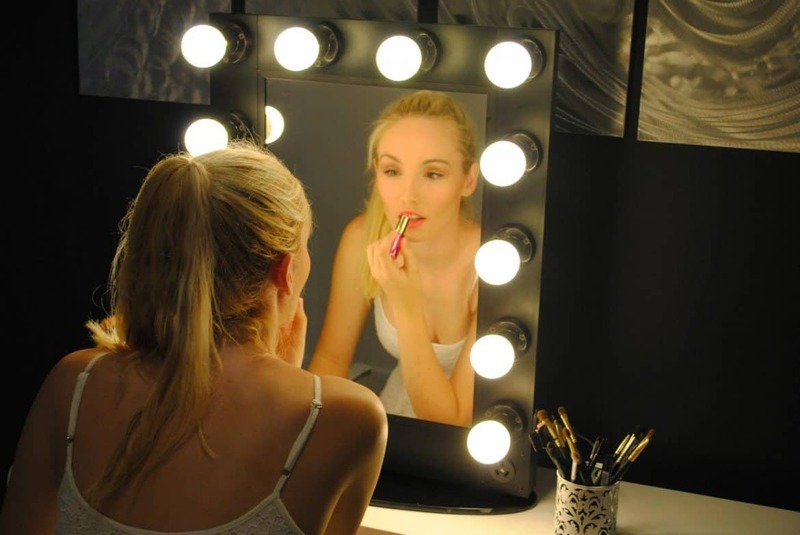 With a mirror placed on top, girls can have fun applying makeup, styling their hair, or dressing up for an occasion. Vanity tables are not only for grown-up women. If decorated with cute little accessories, a vanity table can surely become a little girl’s own prized possession. Make your little girl feel like a star by helping her decorate her own vanity using some items that may just be lying around in your home. 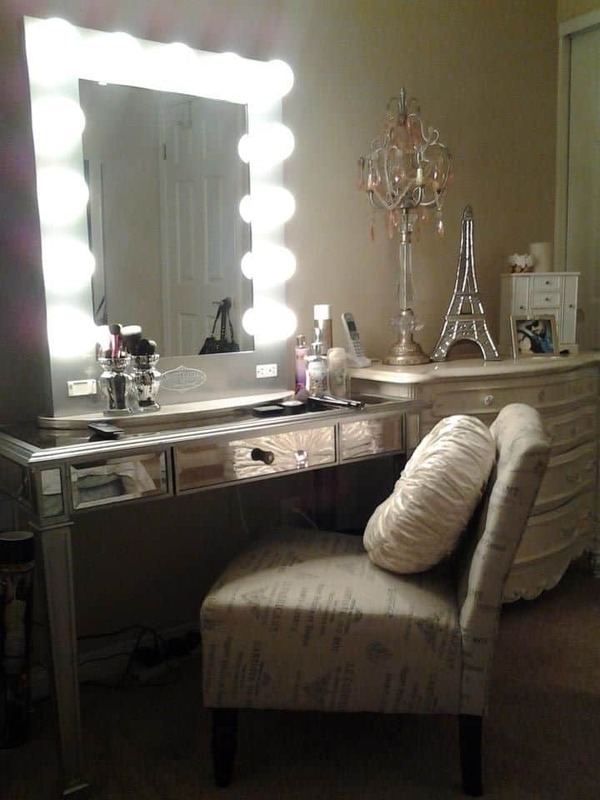 Rather than throwing away an old dresser, why not turn it into a vanity for you or your daughter? Recycling an old furniture piece is a noble thing to do for the environment. So, here are few ideas to help you out in this project. To create enough space for you or your girl’s legs, cut out the middle section of the dresser. Attach thin boards to create walls. You might need to remove the bottom drawers to create space for the chair. Does the dresser look worn out? Don’t fret. All you need is paint in your girl’s favorite color. First, sand the dresser then apply primer and paint. You can use either a plastic or latex primer. Pink is usually the favorite color of little girls. This color is perfect for their vanity table especially if the room already has a pink color theme. If your daughter’s room has patterned wallpaper, paint the vanity with a plain but beautiful matching color. If her walls are bland, you can get creative on the vanity by creating stripes or polka dots. You can also create a lacy effect using doilies that you can purchase from arts and crafts stores. You can also turn it into shabby chic furniture which is perfect for a girl’s bedroom. You can do this by painting with a pastel base color then adding a little white paint over it. Decorate the vanity table with trimmings and accents. Also, Washi tapes have been popular for a while now. They are tapes in decorative patterns and are often used when wrapping gifts, working on arts and crafts and creating décor wherever possible. You can use the washi tape to cover the entire vanity except for the mirror. You can also do the same with colored papers dipped in glue to create a decoupage. Some kid’s vanity tables look a little boring. To make them look more interesting, you can remove the old drawer handles and replace them with knobs in interesting shapes like flowers, butterflies, or cute animals. Paint them in a color that goes well with the whole vanity table. To complete a girls vanity set, create a dainty vanity seat from a piano bench. For the upholstery, choose a fabric that matches the vanity or just let your daughter pick. 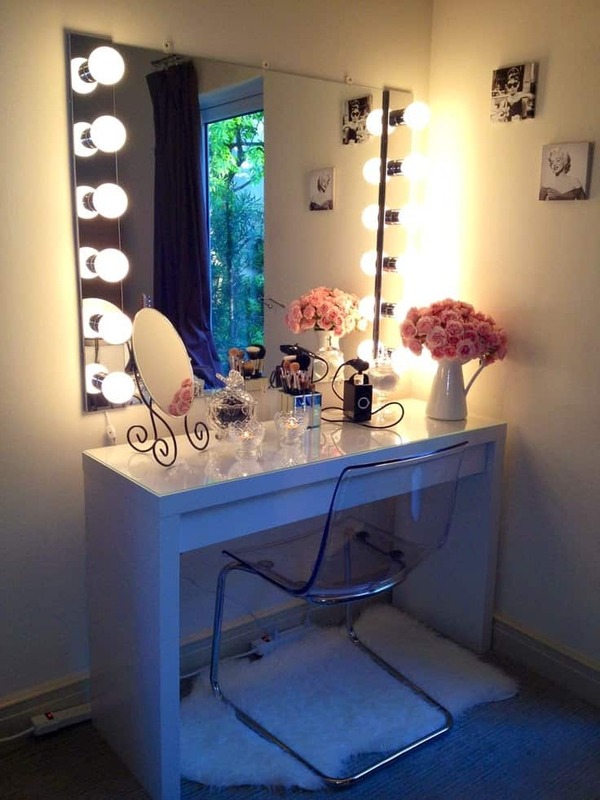 So what can you do to dress up your girl’s vanity table? Collect stickers, keepsakes, and postcards can serve as additional decor for your girl’s new vanity table. You can place a glass on top of the vanity table and arrange stickers or birthday cards under it. Remember that you can only place flat items under the glass. The vanity table will turn into some sort of mood board for your little girl to keep her inspired. While your girl may still be too young for make-up and the likes, it does not mean that she will not enjoy having her own vanity like moms. This can be a great gift for her birthday. She can use this when she is playing Barbie with her friends. 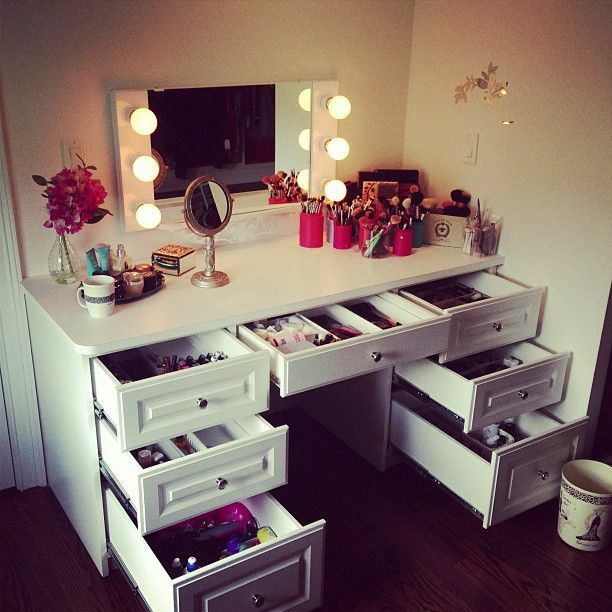 It is easy to turn a dresser into girls vanity with just a little creativity and patience on your side. Don’t settle for store-bought vanities that may be identical to your neighbor’s. Your effort in making this project will surely not be forgotten by your girl. She will talk about it when she grows up. You might be surprised to find out that the fascination with the vanity mirror actually did not begin with the Hollywood of old. Many people are surprised to discover this to be the case. In actuality, the vanity made its appearance near the close of the 17th century as a venue for women to apply blush (known then as rouge) and donning beloved pieces of jewelry. In other words, vanity mirrors came on the scene long before Hollywood stars and starlets got ahold of them! Known throughout its history as the vanity (no explanation needed there), the dressing table, and the poudreuse—from the French word for powder—these lovely pieces are often seen in bathrooms as an extension, lowered, or even separate section of the bathroom countertop with a mirror of its own. This can be seen all over the world, in fact. However, some designers are actually keeping with the more traditional look by utilizing furniture pieces themselves as the vanity. These furniture-inspired dressing vanities can ultimately also lend themselves to having a special place in women’s bedrooms, where they can be in close proximity to clothing and other accessories. This makes the dressing and makeup and hair process much easier to handle. In this way, in addition to the great beauty they add to those spaces, vanities also offer many functional aspects as well. Yes, your dressing table vanity can be practical as well as beautiful! Just like you. So much more than just a table, today’s dressing vanities offer a wide array of different amenities too, such as drawers, adjustable mirrors, comfortable chairs, and counter surfaces that—while looking rich and gorgeous—can be easily wiped clean in the event of an accidental stain or spill. Many vanity enthusiasts adorn their dressing table counters with beautifully framed photos of loved ones and fresh, fragrant flowers to inspire them as they dress. However you decide to situate and decorate your own vanity, it can become a place of relaxation and calm. The world is busier and more hectic than ever, but you can always find a bit of tranquility and unwind at your very own vanity. The best part of having a dressing table vanity is that you can customize it to be exactly what you want it to be—antique, shabby-chic, modern, vintage, and retro. With the right vanity, chair, and mirror, you can create any look your desire to compliment or offset the décor of your bathroom or bedroom. You can be whomever you want to be—the sensible one… the glamorous one… the wild one… the ingenious one. And your dressing table vanity can go right along with you on the journey of self-discovery and be whatever you envision it to be, as well. The only limits are your unique imagination and your enduring style. Hey, Thanks for reading. 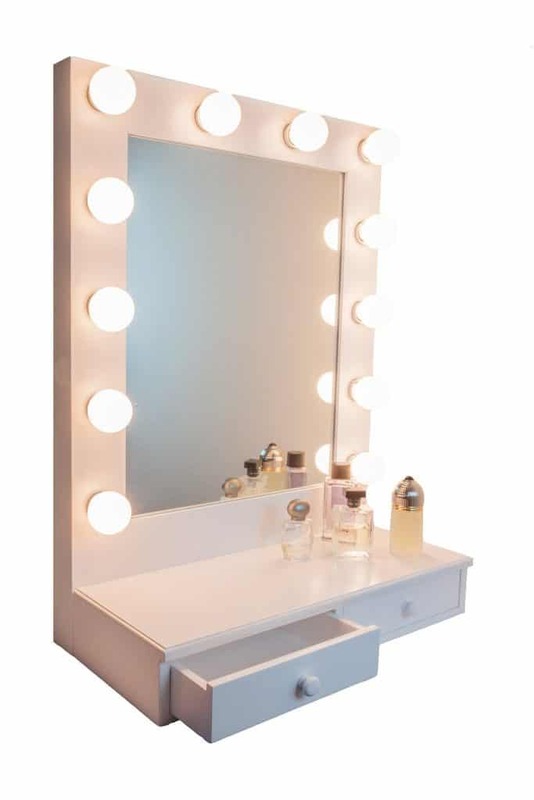 I covered like everything I could find about lighted makeup mirror vanity dressing tables (they go by many names!). If there’s anything I missed that you want to know about, please let me know. 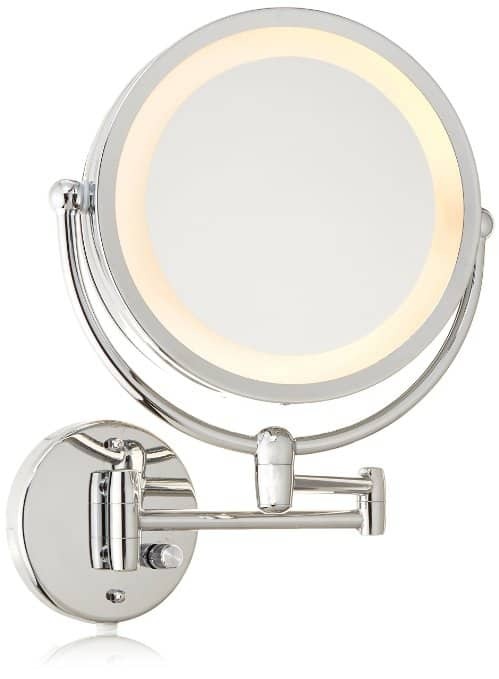 What kind of bulbs are best suited to use for a vanity mirror? How many bulbs should i use if it is to be led and 1100 lumens? I have been looking for something like this. I love the way you explained. Do you make any video tutorial for freshers like me so I don’t end up screwing my hands with the vanity lol. Thanks, Sorry I don’t have a video, but there are plenty listed at the bottom of the article. 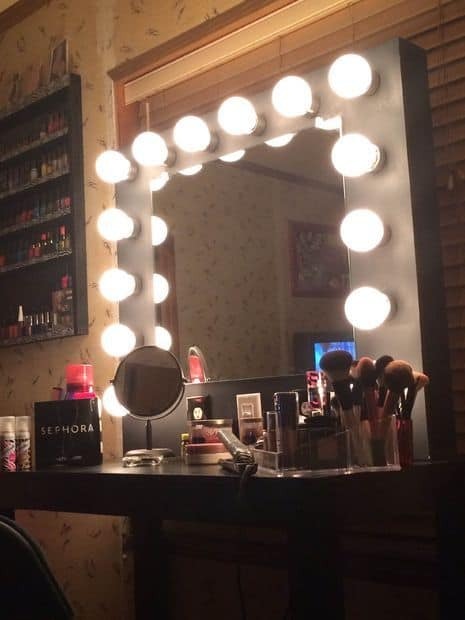 That DIY vanity looks ridiculously good Blake, thanks for sharing!